BIG CONGRATS to our SIBLEY WARRIORS with their WIN last night against North!! The girls had a team score of 108 beating North’s team score of 106! Sami Bruce was 1st place on Bars, 3rd place on Floor, and 2nd place All Around Gymnast!! Cailin McMahon was 2nd on Beam, and 3rd All Around, Morgan McCarthy was 2nd place on Floor and Krista Kedrowski was 3rd on Beam. 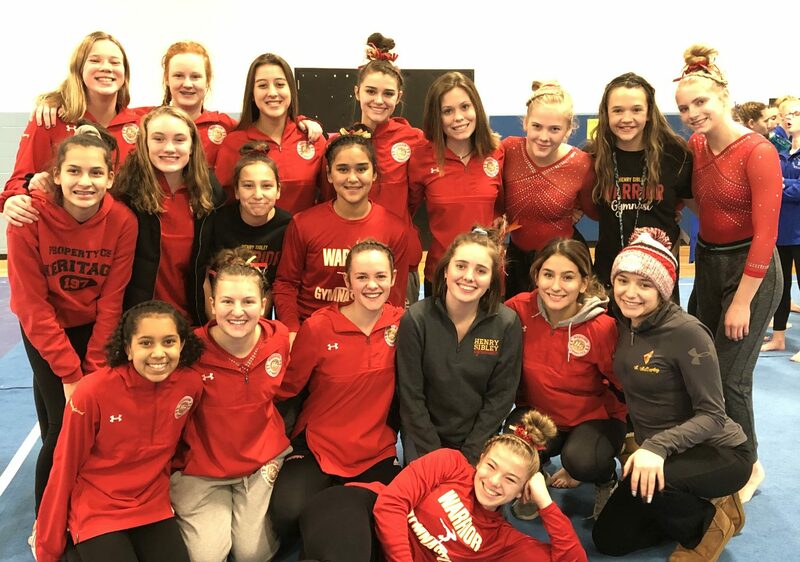 Way to go Warrior Gymnasts!!!! We are so incredibly proud of everyone! **** As of 11:30 today- (Friday) the Governor has cancelled school Monday across the state due to bitter cold that is coming! (why do we live here). If in the event that school is cancelled- All Gymnastics will be cancelled- both high school and flips for kids. Have a great weekend- Stay warm, and be safe!